Change things up with a short trip to The Great Ocean Road in Torquay (about 1h 40 min away). Dedicate the 14th (Sun) to wine at some of the top wineries in the area. And it doesn't end there: take in nature's colorful creations at Royal Botanic Gardens, contemplate the long history of Old Melbourne Gaol, meet the residents at Melbourne Zoo, and enjoy unforgettable views with a balloon tour. To see maps, ratings, where to stay, and other tourist information, read our Melbourne trip itinerary planner. Manchester, UK to Melbourne is an approximately 26-hour flight. You can also do a combination of flight and train. The time zone changes from Greenwich Mean Time to Australian Eastern Standard Time (Victoria), which is usually a 10 hour difference. Expect a bit warmer temperatures when traveling from Manchester in April; daily highs in Melbourne reach 23°C and lows reach 11°C. Finish your sightseeing early on the 14th (Sun) so you can travel to Sydney. Sydney is known for nightlife, trails, beaches, parks, and museums. 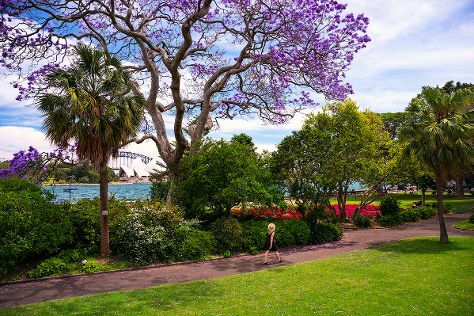 Your plan includes some of its best attractions: take in nature's colorful creations at Royal Botanic Garden Sydney, trek along The Opera House to the Botanic Gardens Walk, tour the pleasant surroundings at Manly Beach, and wander the streets of Darling Harbour. To find other places to visit, ratings, reviews, and other tourist information, read Sydney trip tool . Traveling by flight from Melbourne to Sydney takes 3.5 hours. Alternatively, you can do a combination of shuttle and flight; or drive. Traveling from Melbourne in April, Sydney is a bit warmer at night with lows of 17°C. Finish up your sightseeing early on the 18th (Thu) so you can travel to Gold Coast. Change things up with a short trip to Lone Pine Koala Sanctuary in Brisbane (about 1h 30 min away). 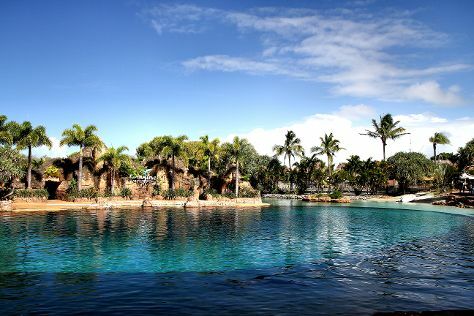 There's much more to do: find something for the whole family at Sea World Theme Park, take in panoramic vistas at SkyPoint Observation Deck, get outside with Pelican Feeding, and enjoy the sand and surf at Surfers Paradise Beach. To see where to stay, traveler tips, and tourist information, you can read our Gold Coast online sightseeing planner . Traveling by flight from Sydney to Gold Coast takes 3.5 hours. Alternatively, you can do a combination of flight and train; or drive. In April, daytime highs in Gold Coast are 30°C, while nighttime lows are 19°C. Finish your sightseeing early on the 21st (Sun) to allow enough time to travel to Hamilton Island. Spend the 22nd (Mon) among aquatic life with a scuba or snorkeling tour. And it doesn't end there: don't miss a visit to Passage Peak, enjoy the sand and surf at Catseye Beach, view the masterpieces at Hamilton Island Art Gallery, and meet the residents at Wild life Hamilton Island. To find ratings, where to stay, maps, and other tourist information, go to the Hamilton Island trip itinerary maker website . Traveling by combination of train and flight from Gold Coast to Hamilton Island takes 5 hours. Alternatively, you can do a combination of train, bus, and ferry; or do a combination of bus and ferry. Traveling from Gold Coast in April, expect a bit warmer with lows of 26°C in Hamilton Island. Finish up your sightseeing early on the 24th (Wed) so you can travel back home.